I managed to hit up Rock 102’s Cruise Weekend yesterday. 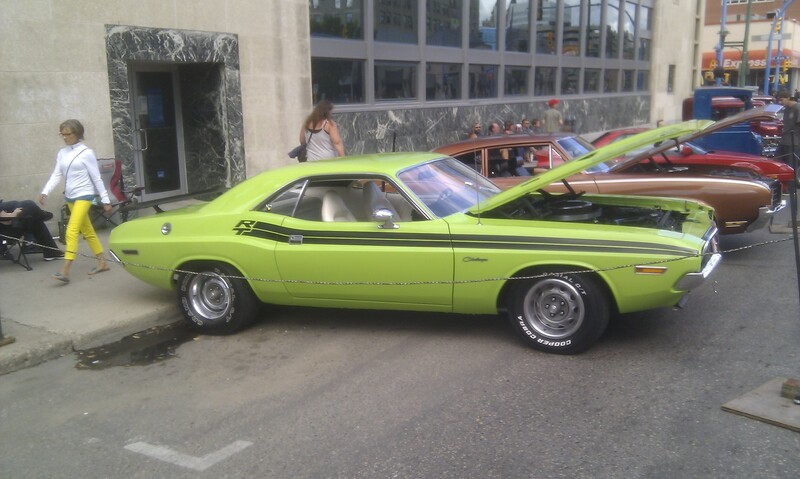 I saw the Dodge Challenger my sister wants. I didn’t think to confirm the model year of this one. My sister wants a ’72. 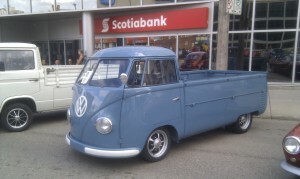 And I saw a VW truck that I think would be cool. The side panels on the box either fold down or are removable—I couldn’t quite tell—but it seemed you could basically create a flat-bed truck. I’d prefer a ’55 window van or a ’68. My first car was a ’68, so there’s a little nostalgia there. 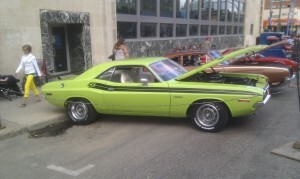 This entry was posted in People and tagged nostalgia, Rock 102, YXE.